Gone are the days of web development being restricted to a select population of programmers and developers. HTML5 is currently available for use by the public, which opens up development opportunities to a much broader range of talents within the community. As more development resources are becoming publicly accessible, developers are increasingly able to tailor images and online environments to create a wider range of material than what was previously accessible. The timing on this could not have been more apt either, because HTML5 presents a perfect opportunity to capitalize on the growing sector for mobile game development by providing a more efficient method of programming and therefore a quicker start-to-finish trajectory. This article will outline the new HTML5 elements and explain how they relate to the development community in terms of increased accessibility with mobile game development. Although HTML is still much a working draft, it has been released to the public with promise of allowing for the creation of many new web elements. Previous incarnations of HTML did not allow for the number of new features that are possible with HTML5. For example, before HTML5, playing media necessitated various applications or media players in order to actually work. But now, with HTML5, which has brand new audio, video, and canvas features, developers can create multimedia that are perfectly encapsulated within HTML5 only, requiring no other plug-ins to work. This results in a more streamlined programming experience. The only current downside to this audio feature is that web browsers have had to support different codecs, meaning that there is inconsistent support right now for HTML5 audio. The program does have the ability to fall back on various codecs if a primary one is not supported so only time will tell when this can get fixed. Another area in which HTML5 shines is in relation to WebSockets. Although WebSockets were initially integrated into all websites in order to facilitate real-time gaming, many browsers disabled them in the past. Now that bugs have been fixed, WebSockets are coming back into play and combine beautifully with HTML5. Players can utilize the feature to chat in real time, which, in terms of mobile gaming, is great for maintaining communication without having to sacrifice game-play. 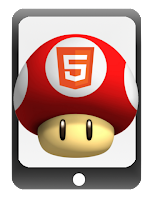 As you can see, HTML5 is presenting a number of opportunities for the development of mobile web gaming. This enhanced programming language integrates beautifully with a number of plug-ins, and removes the hassle of having to complete extra programming to be compatible with other plug-ins. This is a promising time to be a developer, because the online gaming market is just starting to really take off. Jason Phillips wrote this article. He is an experienced writer who has written several times about games that he has played at the site Motorbike Games 365. Apart he loves having a long ride at his leisure.